Hawaii's Mauna Kea houses the world’s largest astronomical observatory. The moment: Night falls on the Gemini North (foreground) and Canada-France-Hawaii telescopes on the summit of Mauna Kea in Hawaii. 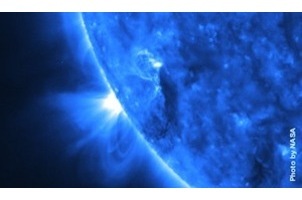 Gemini recently captured the first infrared snapshot of exoplanets, seen orbiting a star 140 light-years away. The telescope’s laser guide star system uses adaptive optics to create ultrasharp images that compensate for distortions caused by Earth’s atmosphere. Mauna Kea, home to the world’s largest astronomical observatory, is a dormant volcano, but don’t worry—the red glow at right is just car brake lights. The shot: Astronomer Richard Wainscoat took this photograph in February 2008 using a Canon EOS 5D with a 24mm lens, ISO 800, f/1.4, 6 seconds.